In the 1950s people started to fear the health effects of smoking. Scientific reports were showing that smoking was bad for your health, so cigarette companies had to act fast to stop people from quitting. In a time where manufacturers were trying out different substances like Parmesan and Romano cheeses and fungal spores as filter materials, a tobacco company called Lorillard heard about the use of crocidolite (blue asbestos) in gas masks for the Army Chemical Corps. They put the crocidolite in a new cigarette product that they called Kent (the filters inside Kent cigarettes were called Micronite), and touted it as the greatest health protection in cigarette history. They even marketed the cigarettes to doctors, saying they could be used by people who needed to quit smoking. There are a few problems with using asbestos in cigarette filters though. The first is that filters do not even work. The industry’s researchers have even said that filters do nothing and do not protect a smoker’s health. The other problem is that asbestos is a carcinogen that is terrible for human health. Not only that, but blue asbestos is the most dangerous form of asbestos in the world. The fibers are very skinny and straight, so they become lodged in a person’s lungs very easily, where they create changes that lead to mesothelioma and lung cancer. Finally, asbestos and cigarette smoke have a synergistic relationship, meaning they work together to create a more powerful carcinogen. Cigarette smoke and asbestos by themselves are bad, but the combination of the two is exponentially worse. After the cigarettes became popular, Lorillard, as well as Hollingsworth and Vose (the manufacturer of the Micronite filters) realized asbestos fibers were getting into the smoke that was being inhaled. Internal documents show they knew what was happening and tried to fix the problem, but ultimately abandoned the use of asbestos. Before abandoning it though, the company sold the dangerous products for another 16 months and then sold the rest of the Kent inventory. They knew what they were selling was dangerous, but continued to sell it anyway. All these years later Lorillard is being sued for its use of asbestos in its cigarettes, and it aggressively fights these lawsuits. Lorillard’s stance is that no more than three fibers per cigarette were inhaled even though experts for plaintiffs have found many more asbestos fibers escaped when testing old Kent cigarettes. Lorillard also tries to convince juries that the plaintiffs did not smoke Kents but are just saying they did because of a bad memory or are trying to lie to make money. Using these tactics Lorillard has won 17 out of 23 lawsuits. 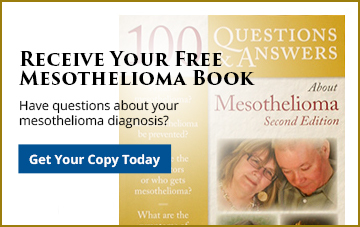 If you were exposed to asbestos and now have lung cancer or mesothelioma, you may be able to file a claim. Companies like Lorillard knew they were endangering employees and customers but continued to do so to make a profit. Call 412-471-3980 or fill out our contact form to speak to an attorney and learn your options.